After Asia Bibi, 47, was acquitted in the blasphemy case and released, amid nationwide anger, from jail on Wednesday, local media reported that she was taken to Noor Khan Airbase Rawalpindi, from where she would be shifted to the Netherlands. Islamabad/Lahore: Pakistani authorities on Thursday rejected as “fake news” reports that a Christian woman who was released from a jail a week after the Supreme Court overturned her conviction and death sentence for blasphemy has left for the Netherlands. Asia Bibi, 47, acquitted in the blasphemy case was released, amid nationwide anger, from the jail in Multan on Wednesday midnight. It was reported in local media that she was taken to Noor Khan Airbase Rawalpindi, from where she would be shifted to the Netherlands. “Asia Bibi was released from New Jail for Women Multan (some 350 kilometres from Lahore) on Wednesday midnight. She is taken to Noor Khan Airbase Rawalpindi where a chartered plane will take her to the Netherlands, ” 24News reported on Thursday. Some other news channels also reported the release of Asia Bibi and her departure for the Netherlands. However, Foreign Office spokesman Dr Mohammad Faisal said there was no truth that the mother of five had left the country. “There is no truth in reports about Bibi leaving the country it is fake news,” he said. Information Minister Fawad Chaudhry also rejected the reports about her going out of the country. “It has become a norm to publish fake news for sake of headlines, #AsiaBibi case is a sensitive issue it was extremely irresponsible to publish news of her leaving the country without confirmation, I strongly urge section of media to act responsibly,” he said. He said a call has been given to the workers who are gathering in Islamabad and Rawalpindi to stop the government to allow Aasia to leave the country. The apex court verdict on Bibi prompted immediate anger from an Islamist party that has threatened to paralyse daily life countrywide with street protests if her acquittal is not reversed. A spokesman for the Punjab government, however, refused to comment. “The government cannot give any comment on this matter,” a spokesman for the Punjab government told media. Earlier, Italy said it would help Bibi leave the country because her life was in danger following charges of blasphemy that put her on death row for eight years. Her husband had also urged the US president, and the UK and Canada premiers to help her leave the country for her life. Bibi’s husband Ashiq Masih in a video message had appealed to the world leaders to help Aasia leave Pakistan for her safety. “I request President Donald Trump to help us to leave Pakistan and I also request the prime minister of the UK and Canada to help us. Help us in getting freedom,” said Masih. 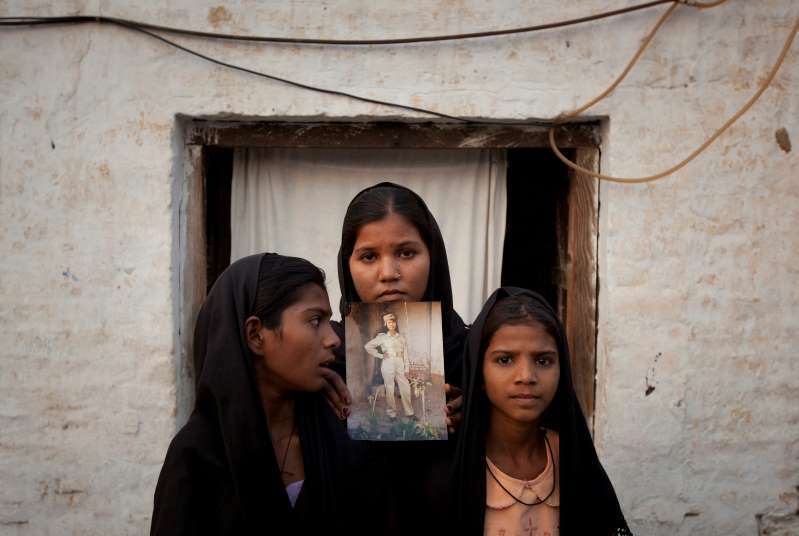 In a landmark judgement last week, a three-judge bench of the Supreme Court headed by Chief Justice Saqib Nisar overturned the conviction of Asia Bibi facing execution for blasphemy. Her acquittal triggered street protests by radical Islamists paralysing Pakistan for three days, blocking roads, torching vehicles, damaging public and private properties and attacking policemen for three days. Police had arrested over 1,000 workers of the TLP mostly from Punjab province but later released almost all of them on the threat of the radicals that they would block roads if the TLP workers were not released.